Take US-based co-working giant WeWork, for example: since it expanded to the Republic, a year ago, the company has launched 9 co-working spaces here (thanks to its hefty war chest). And while it appears to be the dominant player in the land, there are also a handful of other brands including The Great Room, JustCo, Collison8, to name a few. Singapore-based startup workbuddy wants to alleviate this issue, by building a “ClassPass”-esque system for co-working spaces. For those unfamiliar with ClassPlass’s concept, it is a fitness club aggregator that offers a monthly subscription service so members can go for classes at different gyms without signing up for a whole array of club memberships. Like ClassPlass, workbuddy provides an app allowing members to access the different partner establishments easily. Currently, we offer two membership tiers, the LITE plan at S$129 (US$84) a month that provides a 5-day monthly pass and access to all locations, as well as the UNLIMITED plan at $299 (US$218) a month which is an unlimited monthly pass that provides access to all locations. 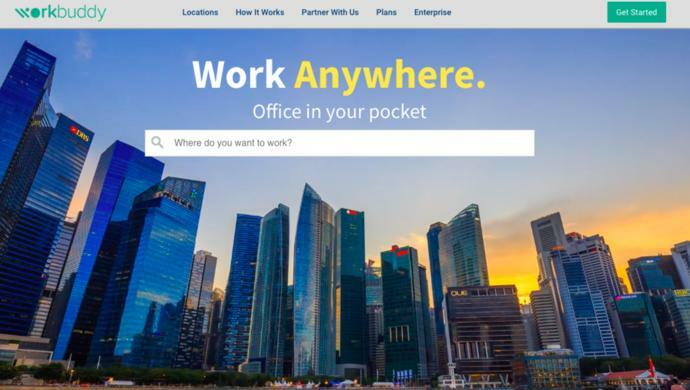 The post Singapore startup workbuddy wants to be the “ClassPass” for co-working spaces appeared first on e27.